‘Tis the season for shipping! 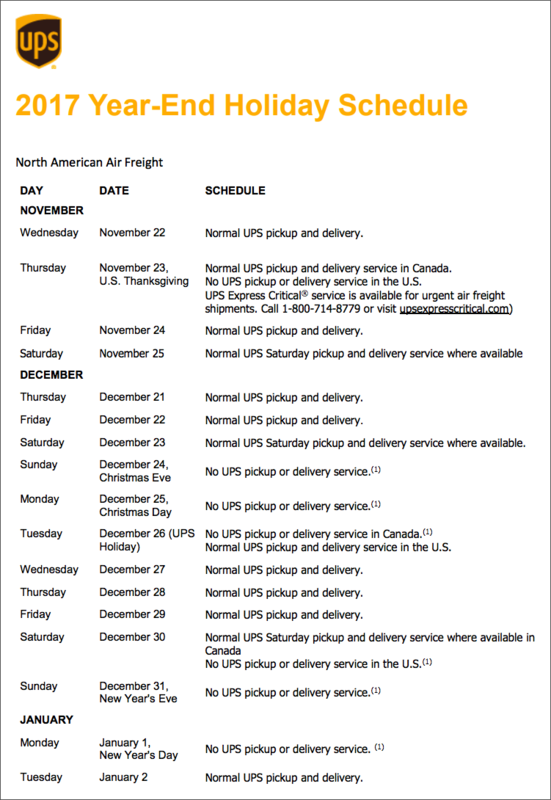 Here is a list of holiday shipping deadlines and schedules for the major carriers in Canada. Review the information below to make sure your parcels are delivered by Christmas. 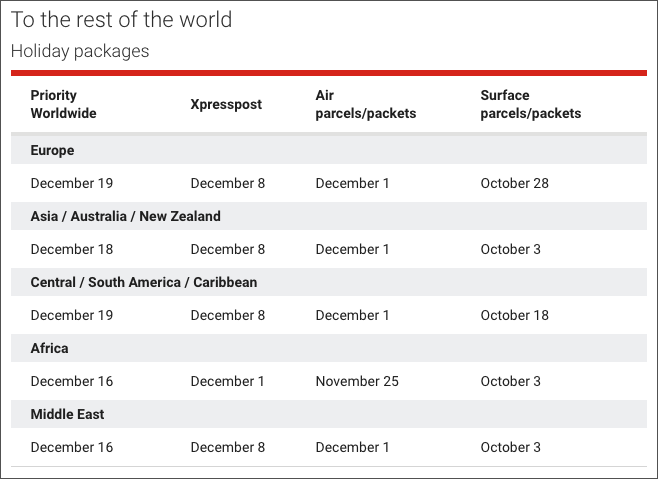 For more details about the Canada Post domestic and international holiday shipping deadlines, click here. 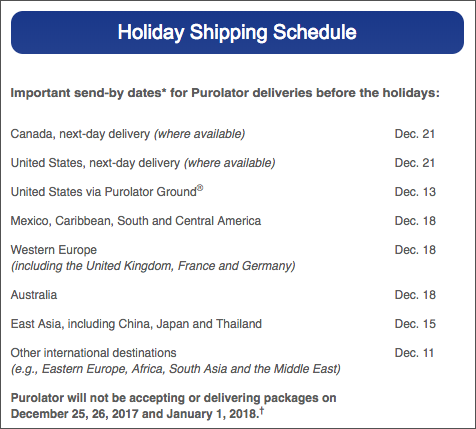 For more details about the Purolator domestic and international holiday shipping schedule, click here. 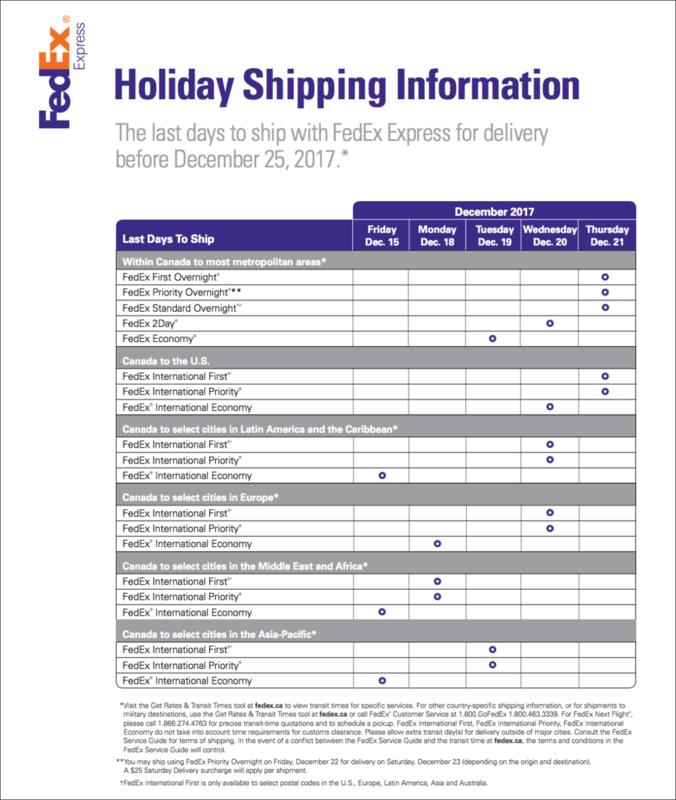 For more details about the FedEx Canada domestic and international holiday shipping schedule, click here. *Includes UPS Express Early, UPS Express, UPS Express Saver, UPS Expedited® , UPS Standard® , UPS Worldwide Express Plus, UPS Worldwide Express, UPS Worldwide Express Saver® , UPS Worldwide Expedited™, UPS 3 Day Select®, and UPS Worldwide Express Freight®. 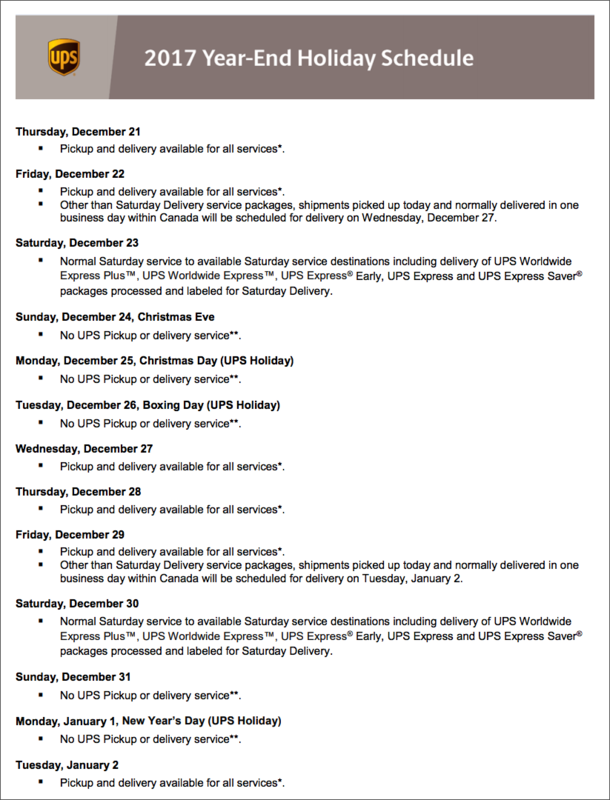 For more details about the UPS Canada domestic and international holiday shipping schedule, click here. We know holiday shipping can be stressful for ecommerce merchants, so we hope you found this helpful!